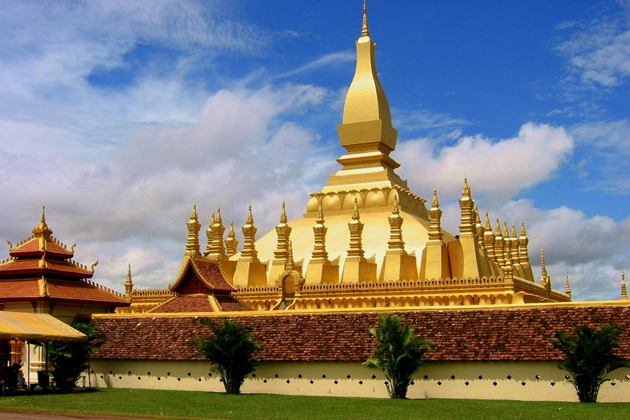 Discover the heart and soul of Indochina through 29-day tour package to four diverse countries. 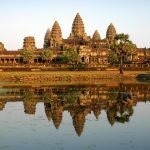 Encounter both ancient and modern history, witness the unbelievable splendor of Angkor Wat, push through hectic city lanes and tap into the pulsing nightlife shall be fascinating experiences for visitors. We will ensure your accommodation and transportation are covered, so you can choose the activities that interest you. Start and end in Bangkok! 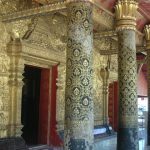 This Indochina tour takes you through Siem Reap, Thailand and 16 other destinations in the region. 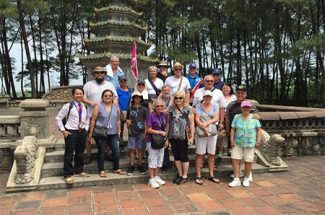 Indochina Discovery 29 Days is a small group tour that provides accommodation in a hotel and hostel as well as an expert guide, meals, transport and more. You can arrive at any time. Make sure you come with your visa. 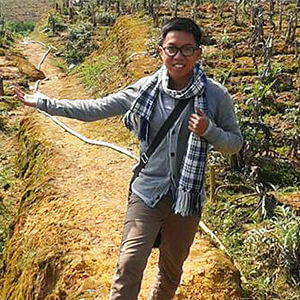 Upon arrival in Siem Reap, you will meet our friendly guide and driver before check-in at the booked hotel. The rest of the day belongs to your own leisure. 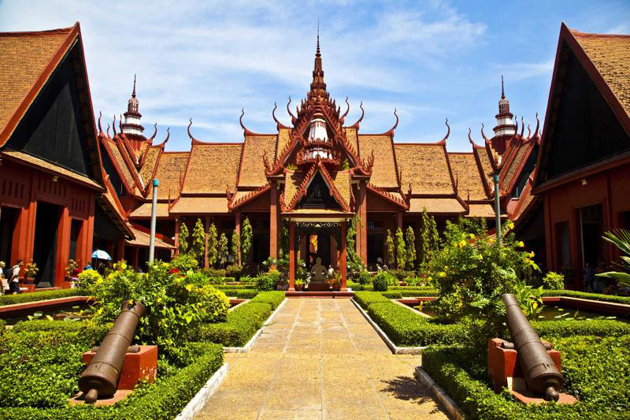 Siem Reap is known as home to the Angkor Wat Temple complex and the ancient city of Angkor Thom. 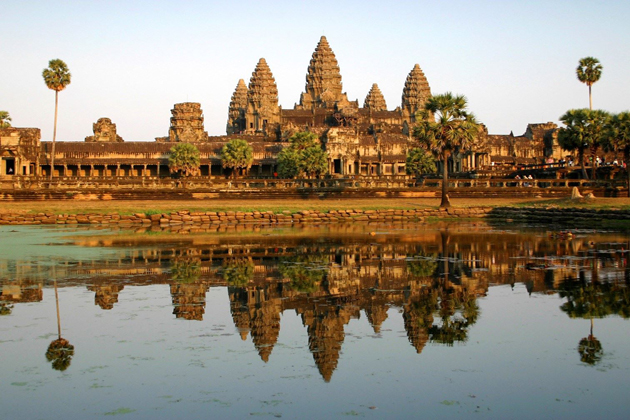 A guided tour of Angkor Wat temple complex will be the next destination in your Indochina Discovery 29 Days. 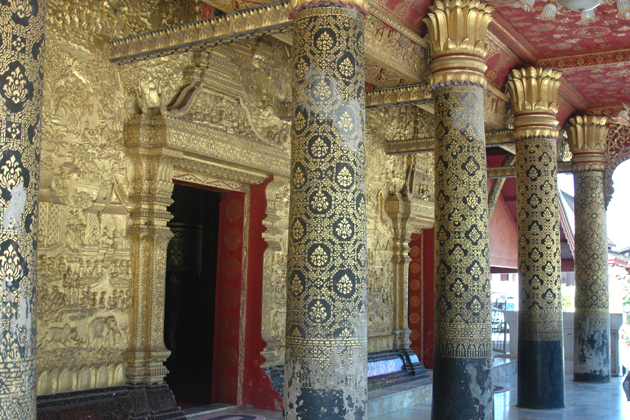 After breakfast, get ready to immerse yourself in breathtaking nature and ancient ruins of Cambodia. 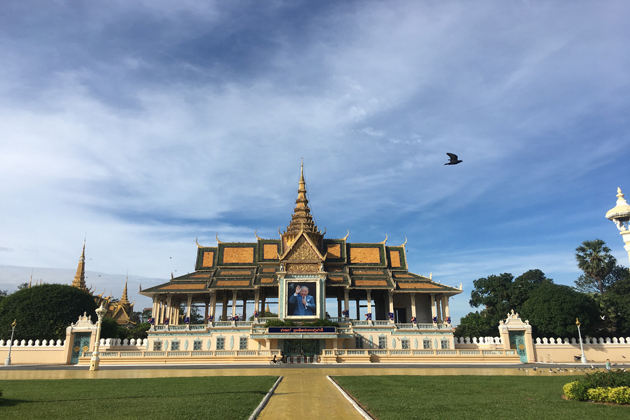 Upon transferring to Phnom Penh, wonderful Cambodia’s capital, our tour guide will take you around the city. You will have a chance to discover a peaceful atmosphere, natural beauty, and hospitality of people. You also choose a local bus to travel around the capital instead of walking. Day 4 of Indochina Discovery 29 Days shall be started in the afternoon. 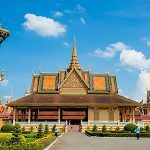 Sights you might choose to explore include the National Museum and adjacent complex including the Silver Pagoda and Royal Palace. 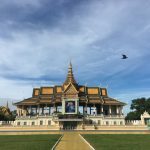 Visiting the Tuol Sleng Prison and the Killing Fields is a wonderful chance for you to learn about Cambodia’s somber history. 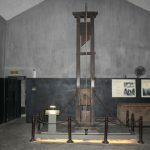 These destinations are reminders of the genocide that took place under the Pol Pot’s reign as leader of the Khmer Rouge. 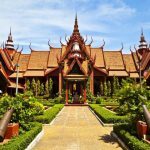 Additionally, Phnom Penh can be confusing and Indochina Tours recommends to always keep a hotel card with you when you are exploring. 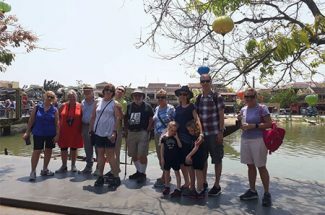 After breakfast, we depart for an interesting day of sightseeing in and around Phnom Penh and then transferring to Sihanoukville. 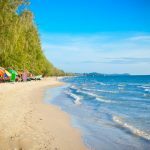 When comes to activities in Sihanoukville, day trips to nearby islands and party cruises, snorkeling and scuba diving are probably the most popular other-than-the-beach activities around Sihanoukville. 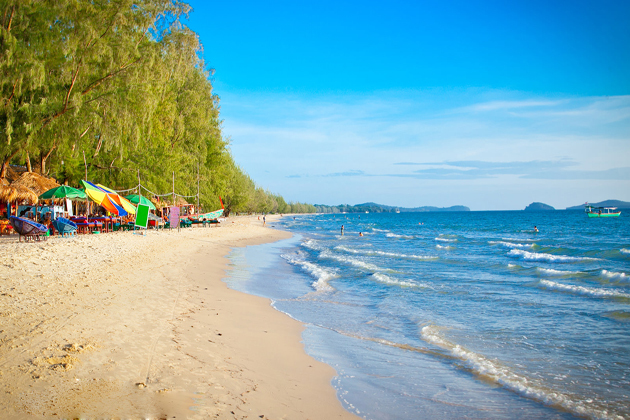 Swimming and relaxing on the beach will be a wonderful experience for you when traveling to Sihanoukville. Immerse yourself in Cambodia culture and get a real taste of local life when in port in Sihanoukville with an optional snorkeling boat trip. 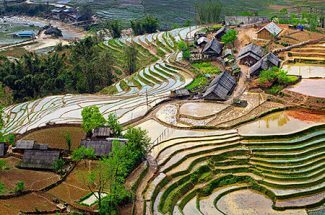 After breakfast, cross into Vietnam and stay in a basic village homestay that includes dinner in Can Tho. Explore the nightlife beauty of Ho Chi Minh City by heading to one of the rooftop bars such as the Rex Hotel, one of the classic colonial Ho Chi Minh institutions, where there is often live music. Tasting street foods is also a must-try activity in Ho Chi Minh City. 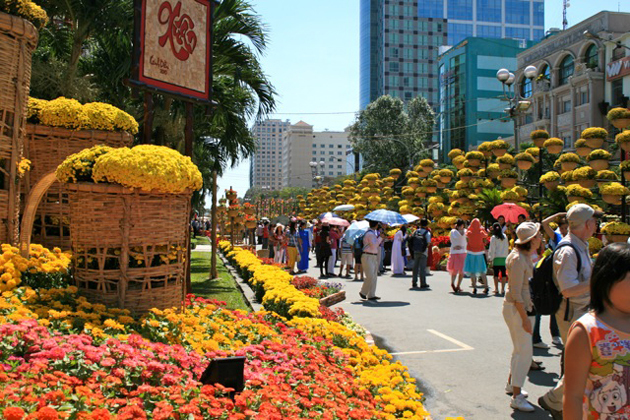 Discover the energy of Vietnam’s biggest city on an orientation walk and continue exploring with free time. 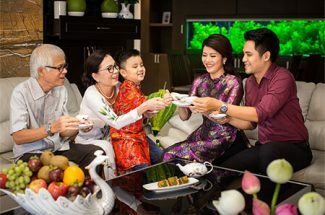 You should notice that the fascinating time to travel through Vietnam is during January and February, especially Tet (the Vietnamese Lunar New Year) when you can see millions of Vietnamese commute and celebrate with their families. 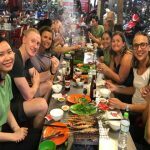 After breakfast, Indochina Tours will guide you to optional activities in Nha Trang including a boat trip to nearby islands for some snorkeling or a fun-filled all-day beach party. 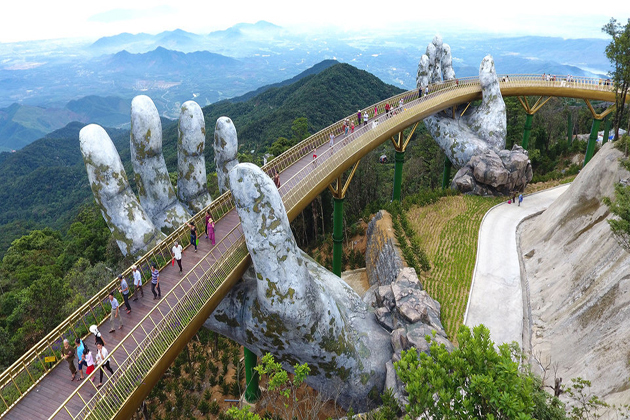 In the evening, take an overnight train to Da Nang, a worth-living city in Vietnam. 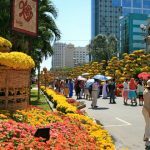 Located in the middle of Vietnam and adjacent to the East Sea, Danang is developing very early and is known to domestic and international tourists. Based on the natural advantages offered, the city is also appreciated by the modern, ancient culture and friendly people, hospitality. 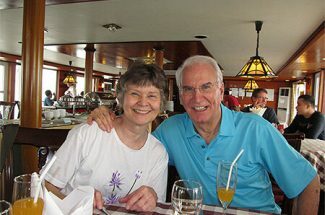 It is only a short drive from Da Nang to the picturesque port town of Hoi An. 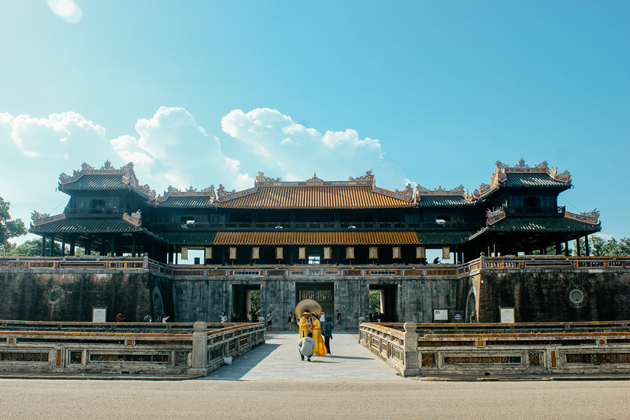 Once known as an ancient town, Hoi An was an important trading town with strong south Chinese influence and connections. 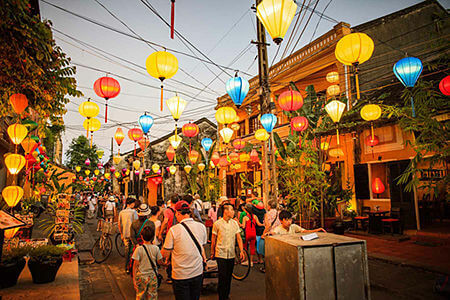 We will have a walking tour to discover the cobblestone streets, old houses of Ancient Hoi An Town. 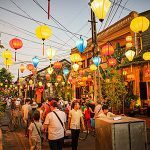 One of the must-try things to do in Hoi An is a noodle-making demonstration and local lunch at the G Adventures-supported Oodles of Noodles Project. Later, you can free to choose a cooking class, cycle to the beach, visit a tailor or explore the old time with free time. 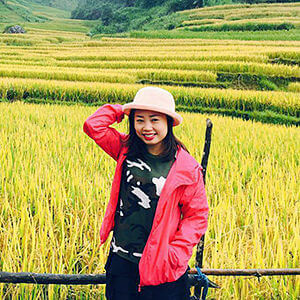 Indochina Tour will continue your journey north to the city of Hue, the capital of feudal Vietnam during the Nguyen dynasty, and still place to preserve many temples, pagodas, tombs, rivers, and parks for visitors today to admire. 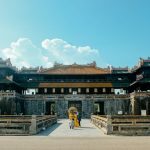 Hue provides a variety of fascinating activities for you to choose such as visiting the Royal Citadel and tombs, taking a Perfume River cruise or tour the countryside by motorbike. 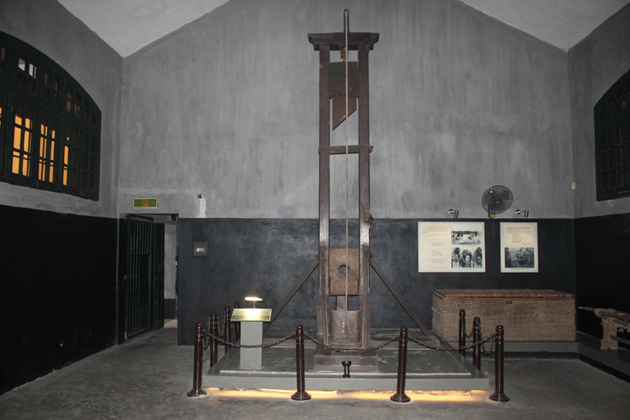 You will have free time in Hue. 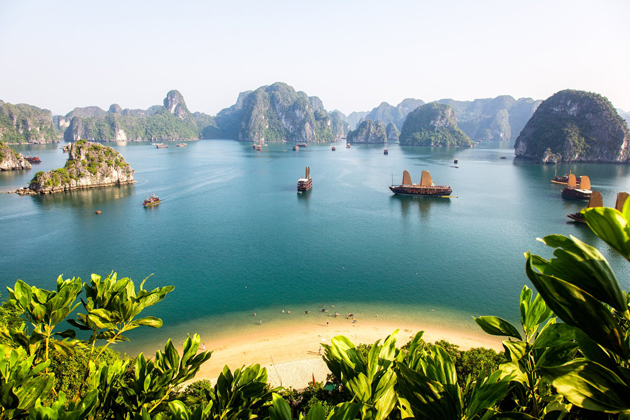 Afterward, take an overnight train to Halong Bay. 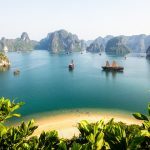 This World Heritage Natural Site will completely leave you the unforgettable memories of majestic limestone mountains, mysterious caves, and blue-jaded water. You can also explore the local floating life by paying a visit to floating villages and follow the fishermen to catch fish in the bay. Say goodbye to Ha Long Bay this morning as we turn back to Hanoi city. 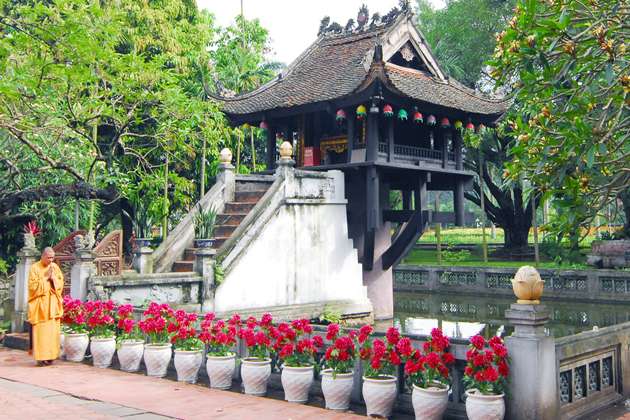 Upon arrival, you are getting to know Hanoi with an orientation walk through the Old Quarter. 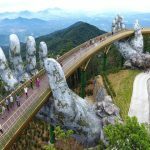 There is a wide range of must-see destinations there such as Ho Chi Minh’s Mausoleum, the Temple of Literature, Hoa Lo Prison, Hoan Kiem Lake, or Shops in the Old Quarter. 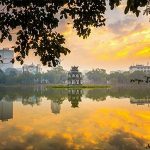 After breakfast, morning is free for you to spend time exploring Hanoi city, where travelers will find well-preserved colonial buildings, interesting parks, ancient pagodas, temples and unique museums within the city center. 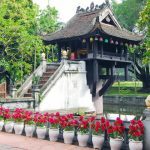 You have time to explore a bit of Hanoi in the morning before an afternoon flight to the capital of Laos, Vientiane. It may take around 40 hours to fly. 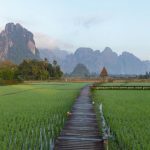 When arriving in Laos, there is a wealth of cultural landscapes to discover on foot, by bicycle or, for the less energetic, by tuk-tuk. 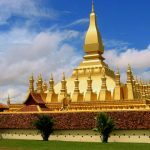 Our tour guide and driver will take you to Laos’ most important national monument, Pha That Luang, or meander down the dusty riverside tracks to explore villages full of children, dogs, and chickens. It is worth visiting Vientiane’s vibrant, colorful morning market (which incidentally is open all day), to find plenty of local treasures. One of the greatest ways to round off the day is enjoying a spectacular sunset over the Mekong River. 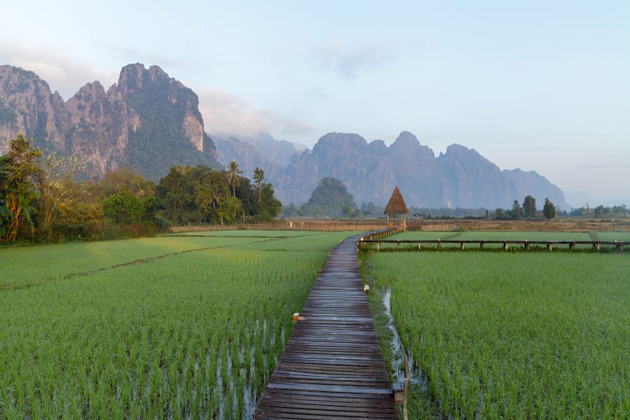 After breakfast, a picturesque drive north takes us to beautiful Vang Vieng, a piece of heaven on earth in Laos. 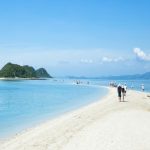 Surrounded by scenic landscape ranging from mountains to rivers and limestone cliffs to rice fields, this small and scenic town offers a long list of attractive destinations. 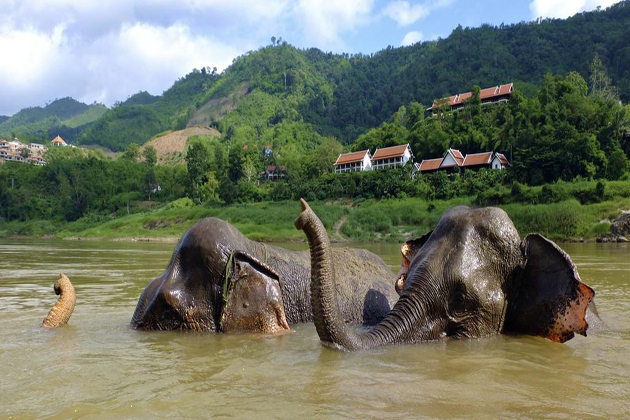 Today is the time for you to explore a variety of attractions and activities in Vang Vieng. There is a selection of fun activities range from river kayaking to forest hiking and sightseeing in this lovely area by boat. 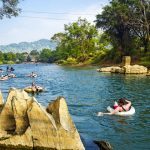 Those who are looking for more adventure and thrills will be ready to know that Vang Vieng and its surroundings are famous for having the best rock climbing in the region. 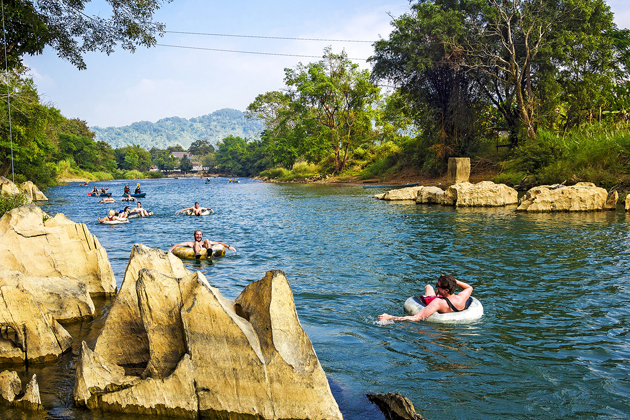 After a hard day, soak in the natural beauty of Vang Vieng as the sunset over the river. 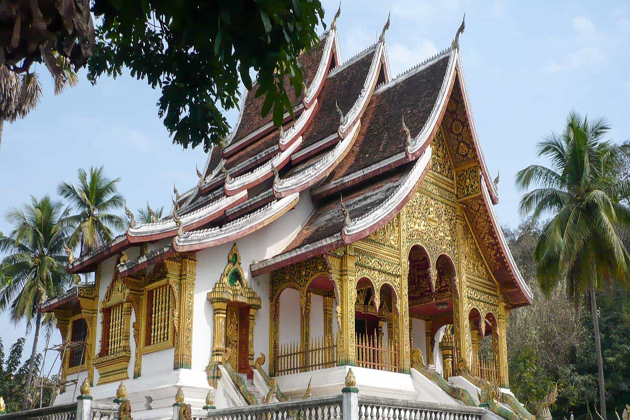 This morning travel from Vang Vieng to Luang Prabang, the ancient town of northern Laos, was designated a UNESCO World Heritage Site in 1995. 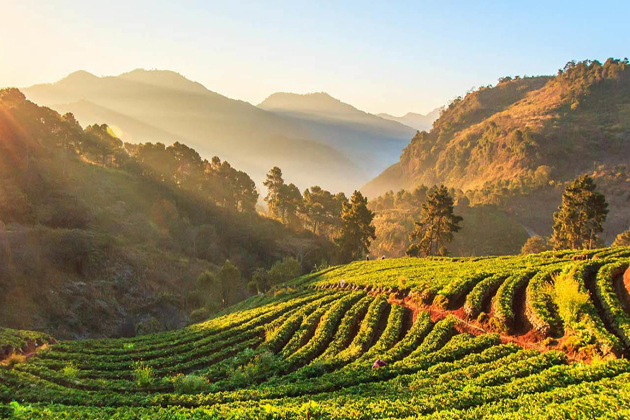 Considered by many travelers and writers as being the heart of Laotian culture, the tiny town is 700 meters above sea level at the confluence of the Nam Khan and Mekong Rivers and encircled by mountains and hills. 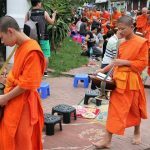 Wake up early to explore traditional Laotian Culture by giving daily alms to monks in Luang Prabang. 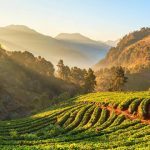 One of your mornings here, you should not miss the wonderful scenery of sunrise and watch one of the most important religious ceremonies in Laos. Your guide will help you to buy some food if you tell him at least a day in advance, or you can buy it on spot. 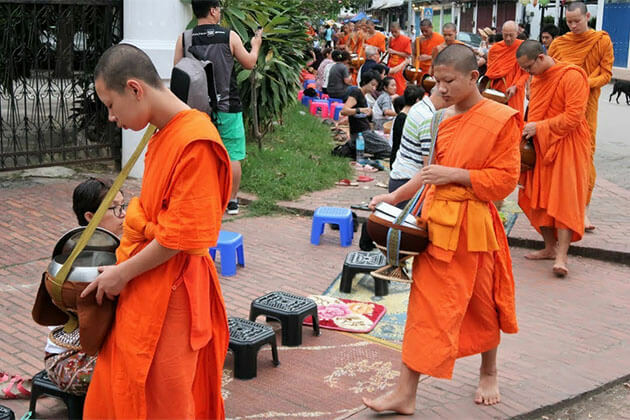 During the ritual, follow the guide of locals to give alms to the monk respectfully. It’s also important to dress and behave politely ( your shoulders, chest, and legs should be covered). Another option is standing on one side of the streets to witness the ritual in silence. After that, you can have breakfast in the hotel or join locals for a bowl of delicious noodle soup in a street food stall. You then have free time to chill out. The best time to enjoy Pak Beng is late afternoon from on high at one of the restaurant balconies clinging to its vertiginous slope, watching the Mekong slide indolently by in a churn of gingery eddies, significantly framed by huge boulders and sharp jungle banks. Indochina Tours board our boat for the two-day journey up the mighty Mekong River making our way through Pak Beng to Chiang Khong. 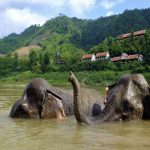 This morning we re-board out the boat and continue our leisurely cruise along the river before arriving at the Laos/Thai border and crossing to Chiang Khong in the late afternoon. 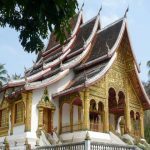 Here, we stamped out of Laos, easily obtained our Thailand visas on arrival, and then entered another new country for the Earth trekkers. 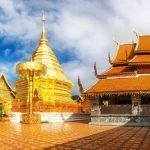 Depart Chiang Khong after breakfast, we drive to Chiang Mai, the largest and most culturally significant city in northern Thailand and the main base of activities for most travelers who come up north. 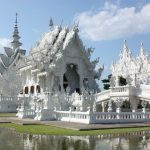 In the afternoon, you have free time to explore this fascinating city, which is full of culture, friendly locals, incredible food markets, dozens of beautiful temples, a relaxed vibe, beautiful landscapes. 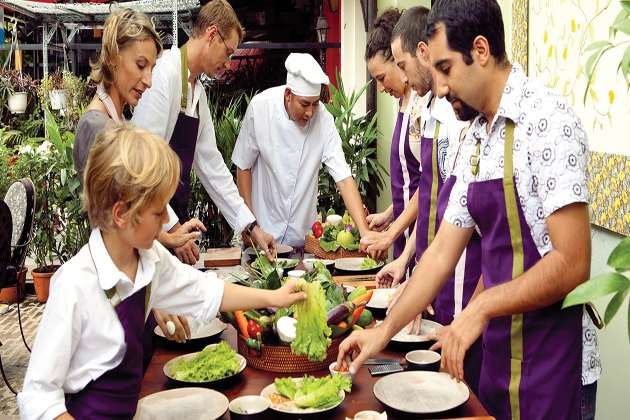 Today, try your hand with local cuisine in a Thai cooking class? Thai food is a true delight for your taste buds, which is hard to find such an incredible balance of sweet, spicy and salty in the same dish. 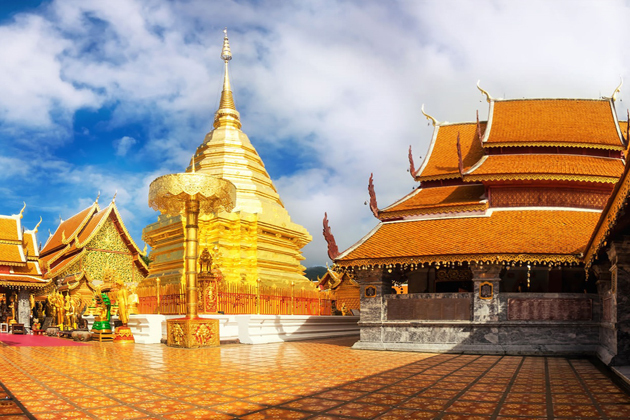 Some other options including a visit the magnificent temple of Doi Suthep standing watch over the city from the hills above, taking a bicycle ride in the countryside or embracing the bizarre by getting a message from the training school at the local woman’s prison. 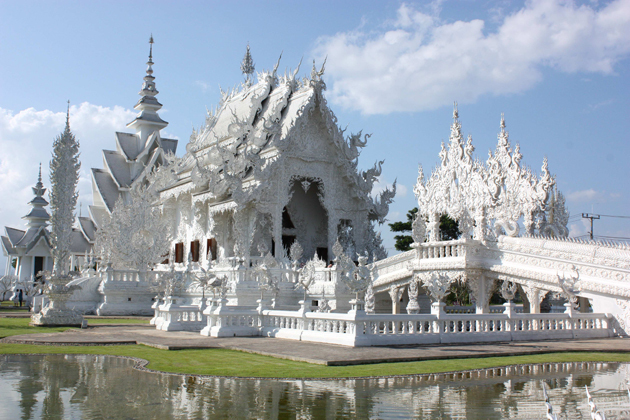 After that, in the evening, we are going to catch an overnight train to Bangkok, taking about 12.00 – 13.00 hours. We will arrive early in the morning to Bangkok, Thailand’s capital city. The day is leisure time for you to explore a series of significant sights. 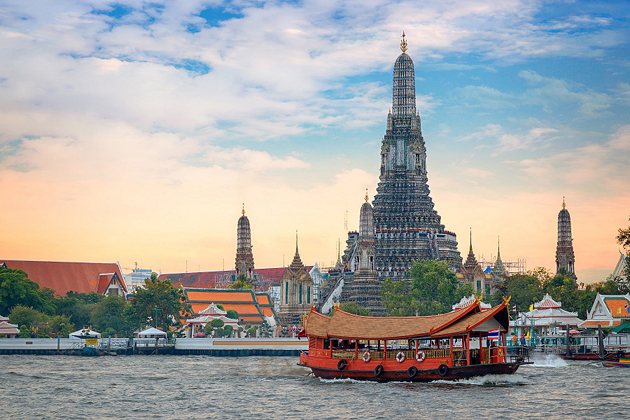 The Grand Palace, National Museum, Wat Pho and Jim Thompson’s House are just a few suggestions for your journey. 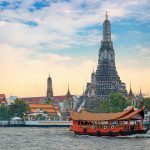 We take you on a trip along the Chao Praya river and through the canals (or klongs) gives you a different perspective on daily life in this busy city. 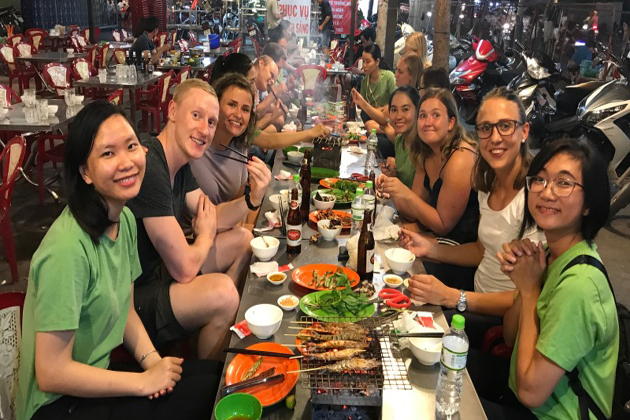 In the evening, we will say goodbye and enjoy a Thai meal and perhaps a beer together to celebrate the end of an amazing journey. Your journey ends at any time. 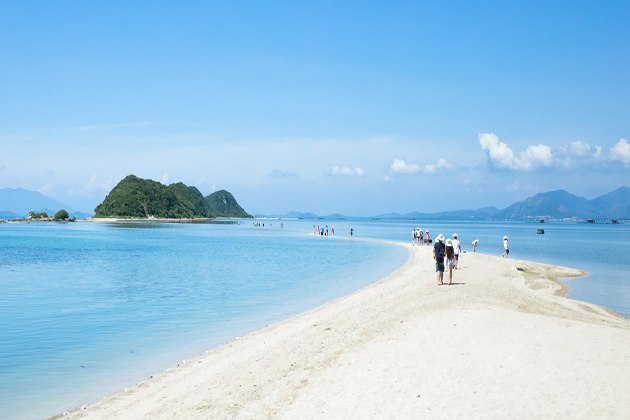 You have leisure time to rest and relax upon the amazing trip before taking a departure flight back home. 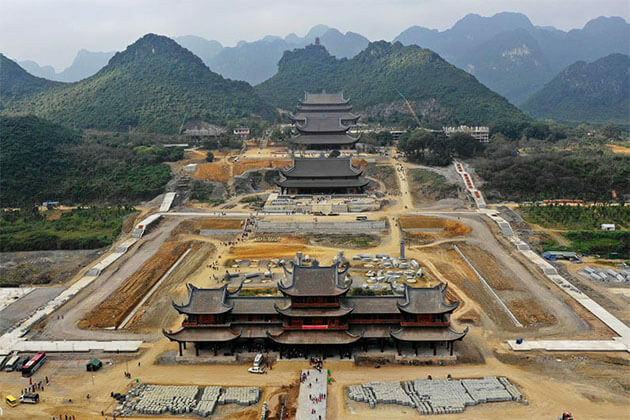 We wish you to have an unforgettable time with our itinerary.